Every summer, fans across the U.S. flock to Omaha, Nebraska, for the NCAA Men’s College World Series (CWS). For a city without a professional sports team, it’s a big deal. The locals happily cheer for all eight teams vying for a championship, but the biggest fans happen to be the smallest. When the Coastal Carolina Chanticleers made their first appearance at the CWS in 2016, the team already had a special connection to Nebraska Medicine. In 2006, then 1-year-old Caroline Hogue received a small bowel transplant at Nebraska Medicine. 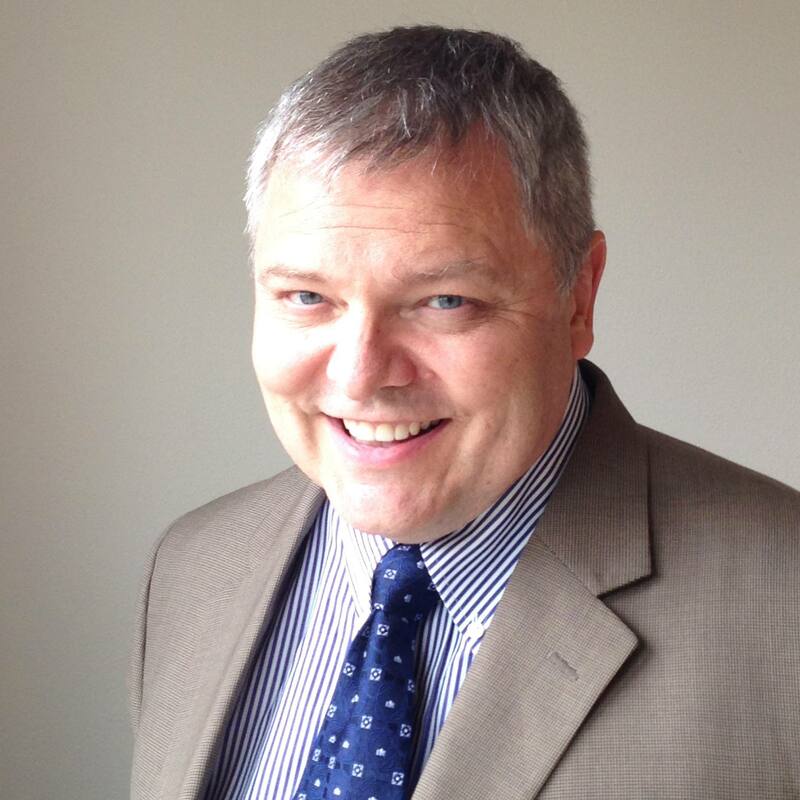 Caroline’s father, Matt Hogue, is the athletic director for Coastal Carolina University. When the team learned they were coming to Omaha, Caroline and her family also made the trip – and asked the team to visit pediatric patients at Nebraska Medicine. Media was invited to cover the team’s hospital visit, which included a game of baseball between the players and patients. It gained a lot of attention on traditional and social media outlets. From there, an idea sparked. 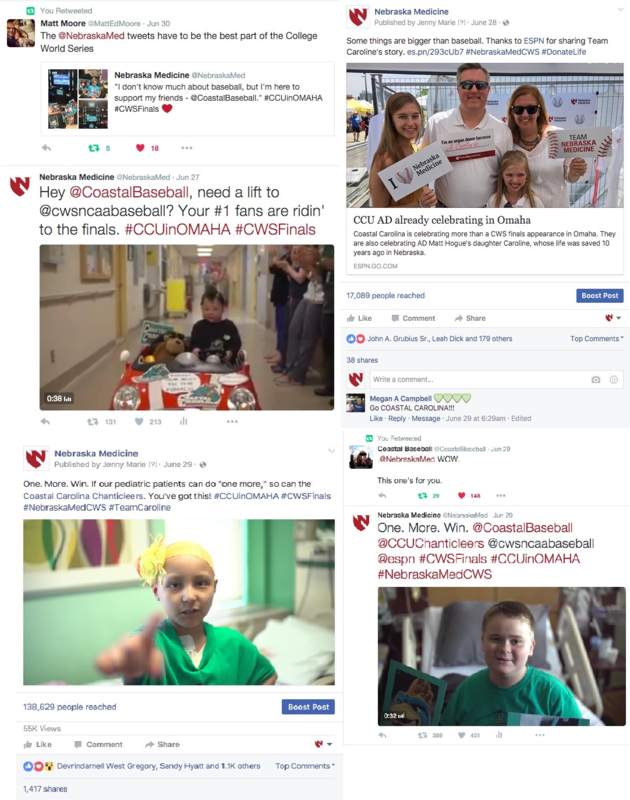 Before every CWS game, the kids created a special message for Coastal Carolina, which was shared via the Nebraska Medicine Twitter and Facebook pages. The messages were produced by Nebraska Medicine child life specialists, a senior media relations coordinator, and videographer. In return, Coastal Carolina retweeted the messages to their 35,000 followers, which ignited a social media frenzy. Several of the messages were shown on ESPN and television stations in South Carolina and Omaha. To everyone’s amazement, the Cinderella team made it all the way to the finals and won the CWS! They dedicated their win to our pediatric patients. 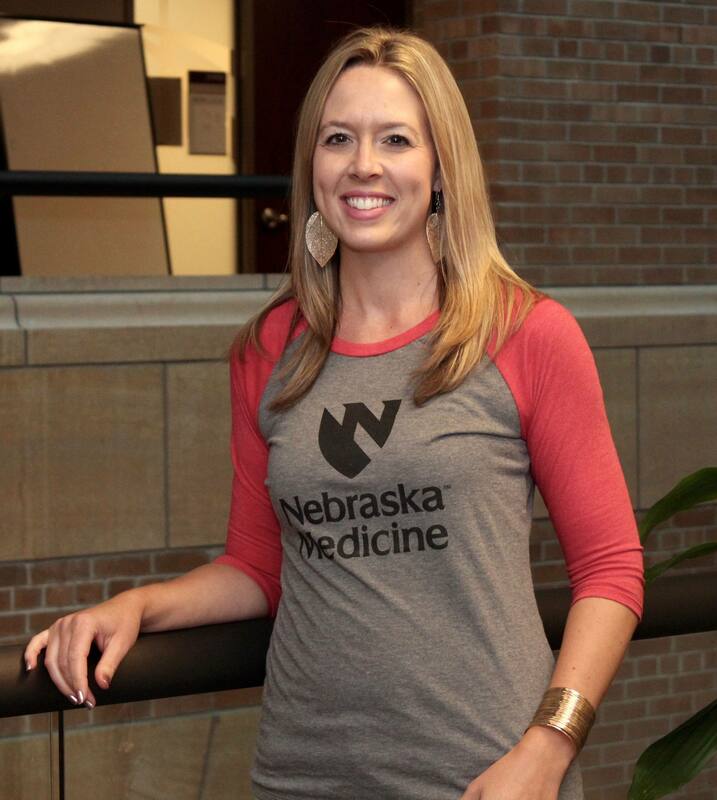 Because this social media campaign was so successful, Nebraska Medicine did something similar in 2017 when the LSU Tigers baseball team made it to the CWS. After a visit to Nebraska Medicine, the players received special messages before each game via the Nebraska Medicine Twitter and Facebook pages. The team retweeted the messages to their 274,000 followers. Even though LSU didn’t win the CWS, the social media campaign still had a huge impact, with ESPN and media outlets in Louisiana and Omaha sharing the stories. Everyone loves cheering for an underdog - especially on social media. How one hospital used the College World Series to push a successful social media campaign. A visiting baseball team played an exhibition game with a group of hospital patients, and a social media frenzy ensued. Matt, I really appreciate your comment. Absolutely we had media release forms signed for all the children involved. Honestly, doing these videos was the highlight of their day. We never pressured any child or parent to participate in the videos. Our child life specialists would also throw "baseball watch" parties for the kids while the games were on television, and the kids would all gather and cheer for their favorite players. It truly gave them something to look forward to during their long hospital stay.